Let’s get this out of the way first — Gaga: Five Foot Two is not a documentary about Lady Gaga. Instead it is the story of Stefani Joanne Angelina Germanotta. Lady Gaga burst onto the grand stage with her debut album The Fame. Since then she has released four more studio albums, three compilation albums and three video albums. As of January 2016, she had sold more than 27 million albums and over 146 million singles. While her outlandish persona got her global notoriety, her songs have garnered praise on their own as well. Gaga is a musician who has brought performance art into the mainstream while simultaneously taking the crown of the queen of pop. Gaga is also a philanthropist who has donated to causes like the Haiti earthquake fund and AIDS charities. She is a gay rights advocate and a gay icon. She is also openly bisexual. This documentary is about precisely none of that. It is the story of Stefani Germanotta. It is about her struggles, her pain, her anxieties and insecurities. The documentary will not give you any insights into how Gaga made it big or even how she composes her music. What it will do is make you realise life isn’t all rosy even after you have “made it”. The film has been shot in cinema verité style — a format of documentary filmmaking which seeks to add nothing extra and presents the subject as is. It follows Germanotta for a year as she releases her 2016 album Joanne and headlines the halftime show at the 2017 Super Bowl. Director Chris Moukarbel sticks to his chosen format to an obsessive degree as there is no narrator, no interviews and no added information given to the audience. Even Germanotta very rarely speaks to the camera despite it staying on her for the entire film. It is truly impressive how impervious the cast is to the camera as they go through some very emotional moments. Moukarbel thus does manage to teleport the viewer right into Germanotta’s life. You are there when she is discussing her costumes, you are there when she is crying out of sheer pain, and you are there when she finds out that her friend’s cancer hasn’t gone away. It gets disconcerting at times but the glimpse it affords you into Germanotta’s world is truly surreal. A large part of the film is about Germanotta working on her fifth studio album, Joanne. The inspiration for the title track comes from the singer’s aunt, who passed away at age 19 of lupus. It is clear that this song means a lot to Germanotta and she cries many times while working on it. There is scene where she makes her grandmother listen to it. It is supposed to be a big watershed moment and you expect the grandmother to cry after listening to a song about her child who passed away at a young age. That doesn’t happen. While the singer breaks down into tears and her father is visibly moved, grandma doesn’t really seem all too affected. She reminisces about the 19 years she had with her daughter and ends up consoling Germanotta. The final result is a bit quirky as it feels like the big moment just fell through. But here we see the virtue of this particular style of filmmaking. By leaving the scene alone, Moukarbel gives the entire thing a sense of authenticity which brings the audience closer to Germanotta. The rest of the film is dedicated to Germanotta’s personal struggles and in particular, her fight with fibromyalgia — a disease which gives her chronic pain. We see her at her most vulnerable here as she grinds through what is clearly substantial pain. But it also shows us the grit behind Gaga’s success. She pushes past her pain to finish her album and then goes on to give the biggest performance of her career at the Super Bowl. For anyone who thought showbiz was all fun and singers just showed up and sang, this film will dispel those illusions and then some. In particular, there is a scene where Germanotta is at the doctor’s, getting treatment for her pain, while also getting makeup done so that she could get to her next event. Make no mistake, Gaga being one of the best musicians/performers of our time is no fluke. The woman works hard for every inch of her success. The film is not perfect as it showcases a very particular bit of the Gaga story. You see her personal side but not so much the professional side. 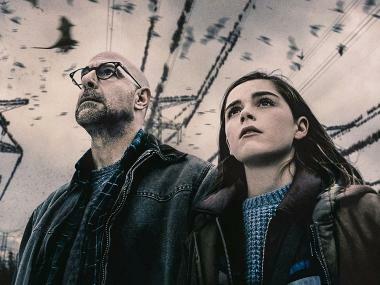 It also doesn’t manage to shake off the nagging suspicion of a controlled narrative which will naturally be attached to a film in which the subject is a producer too. The film pushes a certain side of Germanotta — a hardworking woman who is dealing with many issues in life, from her health to her relationships. And yet we don’t see a bad side to her. And sure, maybe Germanotta is that good a human being. But the coincidence of her producing a movie which shows her in a good light will lead to whispers of “PR exercise”. And those wouldn’t be entirely wrong. In some ways then, it leaves the audience unsatisfied. And maybe it is asking for too much to expect a 100-minute movie to encapsulate the entire story of a truly incredible artiste. 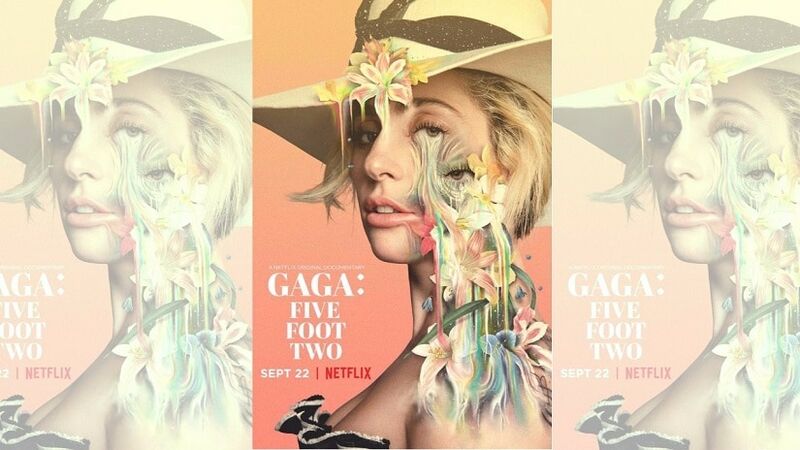 Gaga: Five Foot Two then, is more a teaser to the fascinating story of one of the true phenomena of our time. But the fact that it leaves you wanting more is more a testament to Gaga than the film itself. The film will divide opinions by the mere fact that it is not your classic documentary. If you expect documentaries to be tightly-wound narratives which have a lot of “information”, don’t bother with this one. But if you want a look inside the life of a very successful singer and meet the woman behind the persona, this one certainly fits the bill.